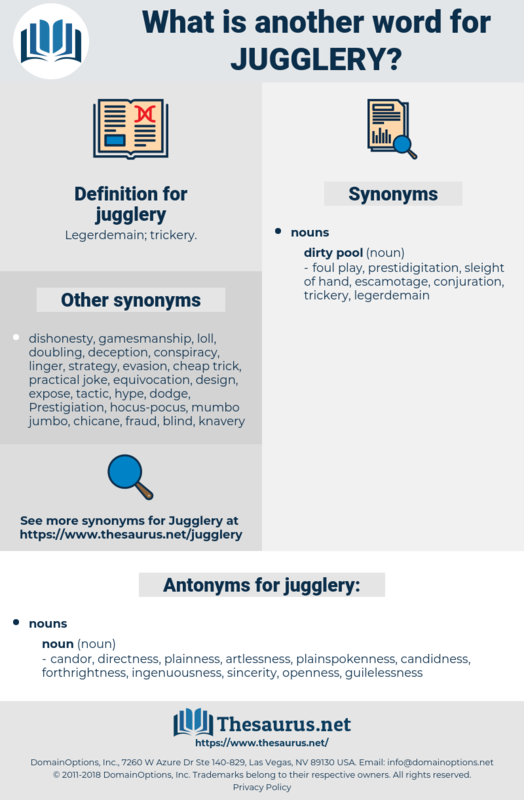 What is another word for jugglery? candor, directness, plainness, artlessness, plainspokenness, candidness, forthrightness, ingenuousness, sincerity, openness, guilelessness. Their jugglery, seen through the smoke of incense, and amidst the enthusiasm of a crowd, is tolerably dexterous, and no more. There were three of them at present, and by some sort of sympathetic jugglery he had an arm for each. 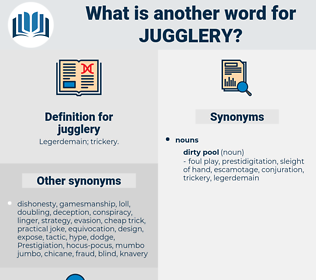 trickery, chicane, guile, shenanigan, manoeuvre, maneuver, wile, chicanery, play.